Music in video games has come very long way. I have been playing games for over 25 years and in that time, a few specific music arrangements stuck with me through the years. These songs/albums are the pinnacle of video gaming music and represent the best I have ever experienced. As this is a personal list, if your favorite games or songs are not represented it could simple be I never experience them. So read listen through, and enjoy. When Mega Man 2 came out in 1988 it marked the first time that music from a video game really became enjoyable. Sure other games like Mario, Zelda and Star Tropics had great set piece music that was more than serviceable, the Mega Man series from entry 2 to entry 5 had music that infected your brain and wouldn’t let go. Capcom and its composers were responsible starting the sounds that would go on to be the chiptune movement decades later. Trying to find a consensus on who was responsible for the music is rather difficult, as many composers used pseudonyms. Currently though the games are believed to be composed by Ogeretsu Kun, Manami Ietel (Manami Matsumae), Yuukichan's Papa (Yoshihiro Sakaguchi) for Mega Man 2; Bunbun (Yasuaki Fujita) for Mega Man 3;Ojalin (Minae Fujii), Bun Bun (Yasuaki Fujita) for Mega Man 4 and Mari (Mari Yamaguchi) Mega Man 5. Collectively they all shared an amazing style that carried the Blue Bomber from stage to stage and these games showcased the best of Mega Man music. Sadly, in the later games the music turned to techno-house mash ups that were not as good. Still it does not take away the greatness of the music in these games. Of every single game boy game, this one song was better than all. Super Mario Land 2 had catchy music that was enjoyable, but it wasn’t until you go to the moon and reach the star field that you were greeted with this special track. It didn’t play in any other level, and maybe it’s because it didn’t overstay its welcome, is why I like it so much. Composer Kazumi Totaka arranged the piece for the 1992 release. Many people consider Yuzo Koshiro one of the greatest video game music composers of all time. One only need to look at his amazing work with Streets of Rage 1 through 3 to hear the ground breaking work being composed with the Sega Genesis. The music presented in these games is so dynamic it could be played at the hottest club in New York tonight, and no one would miss a beat. Koshiro composed other arrangements for games like Shinobi, Shenmue, Kid Icarus and the original Sonic the Hedgehog but its his work here that really stands out. Even when countless fans try to update the music with full digital sound, nothing beats the originals. Sonic 2 was largely composed by Masato Nakamura a member of J-pop band Dreams Come True who did a masterful job with his arrangements for the Blue Blur. Like Streets of Rage, the early Sonic games introduce new depths to video game music including baselines and multilayered tracks. Sonic 3 was composed by a lot more musicians but the final product still held together as a solid arraignment. Some people believe that Michael Jackson was actually involved in the creation of the music. Many blogs and YouTube videos give evidence to cite their claim. When the music is so good that the King of Pop could have arguable been involved, you know you are doing something right. The first time I put the cartridge to Ocarina of Time into my Nintendo 64 and turn the power on, I was greeted with the crisp and clear notes of a piano. Combined with the clops of a horse across a desolate night sky and immediate sense of overwhelming isolation took over, and I knew that this game would be epic. To this day the haunting melody of the Forrest Temple gives me chills, it’s a song I put on every now and again to instantly teleport my mind to the land of Hyrule. Koji Kondo is an amazing composer as evidence by his work on Super Mario Bros, Super Mario Galaxy, Star Fox and Pilot Wings. 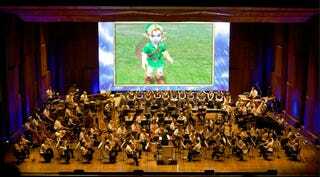 His best work still lies with the eternal melodies he created in Ocarina of Time and Majora’s Mask. Though Kondo was assisted by Toru Minegishi for Majora, the game largely consists of reworks from the music found in OOT. However Majora gave us the Song of Healing, which is one of the first songs I ever learned to play on the piano and it’s an amazing arrangement. Nobuo Uematsu is a name that should be known by all gamers. The music he crafted in the Playstation and Playstation 2 era for the Final Fantasy series is simple beautiful. Though he was the longtime composers for every final fantasy game, it wasn’t until the PlayStation allowed him to use full instruments that his arrangements came alive. From 1997 to 2001 he hit his sweet spot and would go on to create unforgettable music. For my money, his best game was Final Fantasy 10. This was a game loaded with so much high quality music I routinely listen to it for relaxation. In that game, Uematsu had help from Masashi Hamauzu and Junya Nakano and their influence helped the games compositions reach new heights. Together the three composers created over four disc of music with over four hours of music. Akira Yamaoka is so ingrained into what made Silent Hill good that by just listen to the tracks by themselves you feel as though you are being transported to the eponymous fictional American town. Yamaoka composed most of the music for the whole series but like the games themselves, the best of his work is found in Silent Hill 2 and 3. In Silent Hill 1 Yamaoka composed irrational blasting music, sounding like something you might hear if you threw a live performance of Nine Inch Nails in a blender. With Silent Hill 2, Yamaoka focused on more atmospheric music that unsettled players as they made their way into the twisted world. Martin O'Donnell created one of the most iconic and instantly recognizable music arrangements in gaming history with the Halo theme. The second the choir kicks in, everyone knows that Master Chief is about to get into some serious alien combat (evolved). The choir arrangement was a staple of the series and one of the best examples of western music in gaming. Christophe Héral and Billy Martin composed an unbelievably great soundtrack for Rayman Origins. On sheer originality, these songs are the most innovative, bombastic and crazy arrangements I have heard in a game. Dijiridoos, xylophones and horns all contribute and together they sound like a mash up of hyperactive cartoons with a full orchestra on ritalin. This music even works in the nonsensical lums, whose jabber leads to darling Bossa Nova riffs in the water levels. All the tracks are alive, fresh and endearing in ways I have not hear in a very long time. Darren Korb created a masterpiece in his soundtrack for Bastion. Taking elements from Middle Eastern influence and fusing them together with western production values. At times, tracks race by at break neck pace but Korb balances them out with slower and sweeter tracks. Korb sings on the album as well as his duet with Ashley Barret for the unforgettable "Setting Sail, Coming Home (End Theme)”. On top of Bastion being an excellent game, the music that flows through its soundtrack is one to behold. Say what you want about Phil Fish, but Fez is an amazing game. Every part of the game is expertly focused into cubism logic and its music is no exception. Rich Vreeland (Disasterpeace) created a fantastic score for the game, keeping in lines with its themes of being simplistic yet extremely complex. The music is epic on a small scale. While it sounds like simplistic 8bit music, the production and quality of the music put forth is top notch production. Its not until powerful swells of music overwhelm you until you realize that this is music of the highest quality. I bought the album, and have listened to it in full over 100 times and I am not even close to being sick of it. So that is my list, I hope you have enjoyed it. What are some of your favorites? Feel free to share below and thanks for listening along with me. *Due to the loading times, I have removed some of the imbed links. Hope this helps.